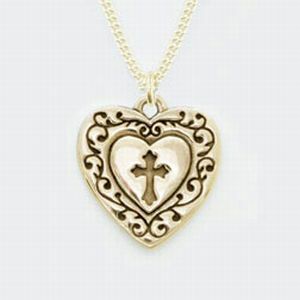 This 14K Gold heart necklace features a flared cross surrounded by flowing vines. This heart pendant would be a perfect gift for Valentine's Day! Made in the USA by Bob Siemon Designs.